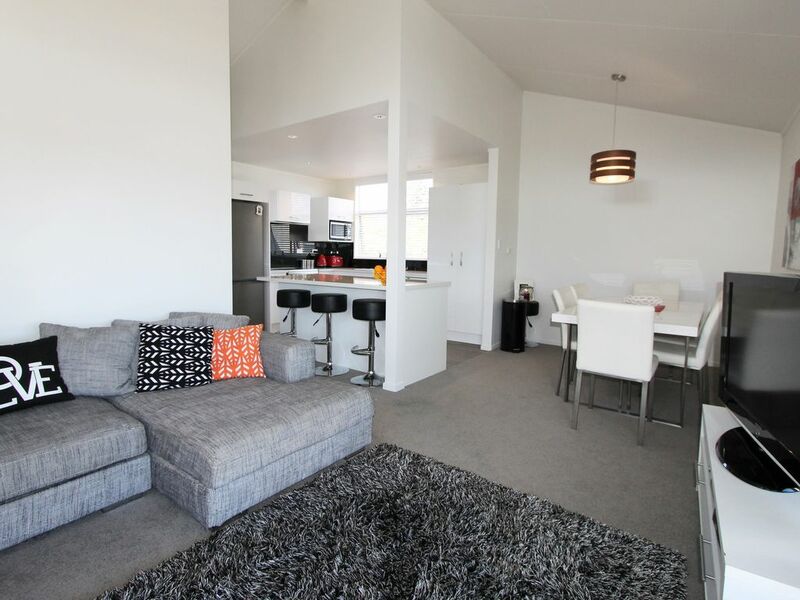 The townhouse is located an easy five minutes walk into Taupo's main shopping area plus cafes and restaurants, and just one block from the lake. This two level townhouse style property has open plan living on the upper level with one bedroom (super king bed), bathroom and kitchen. There is also a sofa which folds into a bed. Downstairs is the second bedroom (queen bed plus single bed) bathroom and laundry. You can relax on the upstairs balcony whilst enjoying a peak view of the lake and mountains. Unlimited wifi internet with onsite parking plus a carport at the front door. Modern and fabulous.... great position and suited us perfectly. Everything was positive ! really clean. Just one niggle ...it would be great to have a washing line to hang out towels etc during the day. The downstairs room needed a stand or shelf for clothes like the upstairs bedroom. Fantastic location, easy to get to the lake and to town. Easy place to stay in.